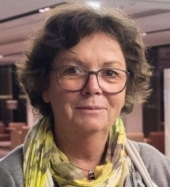 April 8, 2019 - The European Paper Recycling Council is pleased to announce the appointment of Angelika Christ as the new chair for a two years period starting as of 4 April 2019, taking over from Lisa Kretschmann (FEPE). Christ has been the Secretary General of FEFCO since 2007 and the Secretary General of CITPA since 2014. Christ has been involved in associations of corrugated board manufacturers for over 20 years, first in Germany and then at the European level. Prior to FEFCO, she was the Managing Director of the German Association of Corrugated Board Industries (VDW) from 1996 until 2007. Her first professional experience was with the German Chemical Industry Association (VCI), where she executed various positions from 1980-1996. “The EPRC has been very successful in bringing all parties together, develop recyclability guidelines for printed graphic paper and boosting recycling of all papers. We will continue this work and support the industry efforts to further improve the recyclability of paper packaging on the market,” Christ said. “Paper packaging is a recycling champion. We need to intensify our communication and increase the public awareness about the great recyclability of paper packaging,” Christ added.